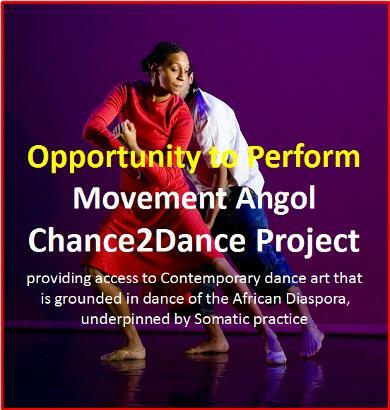 Movement Angol is offering dance enthusiasts the chance to take part in a dance enrichment programme that will give you the opportunity to perform, develop and expand one’s knowledge and experience of dance cultures and performance practice. 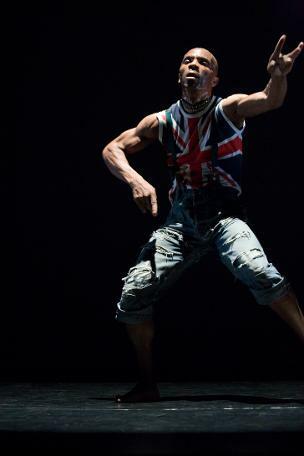 The project, led by performer / choreographer and lecturer in dance Francis Angol, will be working within his ‘Embodied Flow’ movement modality, exploring his approach to Contemporary dance art that synthesises Western Contemporary dance, with that of the teachings and practices of dance from the African Diaspora. The programme is underpinned by Somatic practice, which is a field within body work practice that teaches you how to deepen your awareness of the body and the processes going on within, through internal physical perception and experience, to enrich one's physical expression. During the project you will be working to develop a performance piece that will be performed at the Montage Festival of Dance, Sadler’s Wells - Lilian Baylis Theatre, on 19th July 2019. Please note that this project is not suitable for people who are new to dance. Participants are expected to have some experience of engaging with dance within a semi-professional, community or professional context, having the ability to cope with the technique and style of dance to be explored. The project will be delivered over a 10 week period, starting 5th May, meeting every Sunday for a 2½ hour session, between 4pm to 6.30pm at, Islington Arts Factory, 2 Parkhurst Rd, London N7 0SF. The sessions will consist of a 1½ hour technique class, followed by 1 hour of choreographic devising. The project also offers the option to only participate in the technique sessions if you wish not to perform. In this ten week programme, you will focus on the articulation of fluidity through the body within a postural flow that represents the body's natural engagement and response to rhythm and movement. You will learn how to undulate your spine, strengthen your back, limbs and core to lengthen your body and extend your range of movement and flexibility in a more fluid, and embodied manner. You will explore the dynamic interplay between movement, breath, weight and rhythm in relation to one’s own physicality. The work is underpinned by a strong musical resonance and structured to allow participants to develop a deepened awareness of self through an experiential journey. The style, structure and use of dance, allows students to work through dynamically stimulating movements and choreography through a landscape that will enrich your spirit and movement language. This is a great opportunity to expand one's knowledge and understanding of dance cultures, working within an embodied perspective drawing from African and European dance practices.